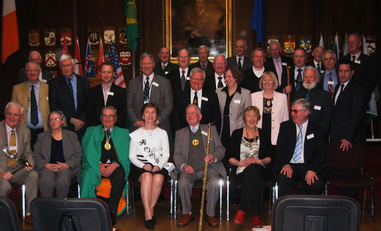 Clan O'Byrne registered with the Clans of Ireland 2018 - Registered with Clans of Ireland. 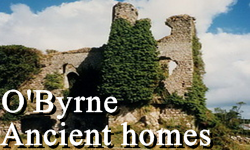 Home to all Byrne's and O'Byrne's to share in the heritage of the most important clan of Leinster. 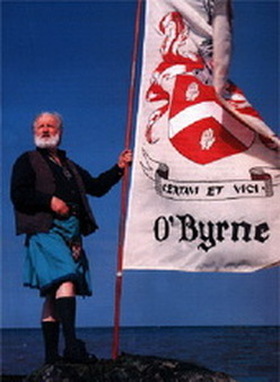 The founding of a Byrne Clan organisation was initiated in the heart of Crioch Branach by Wicklow County Council in 1989. Its objectives were to reawaken and promote the history and culture of the most important clan in the Province of Leinster. 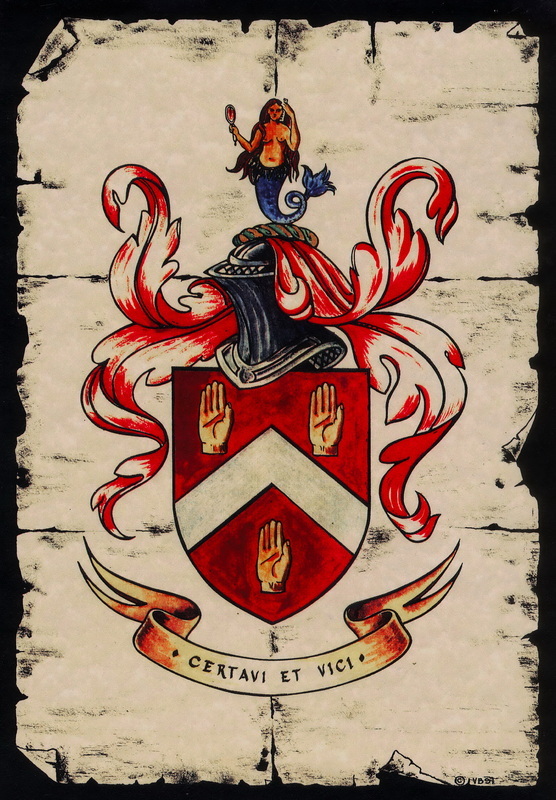 The result was Clann O'Byrne or as many of its members and the people of Leinster call it Clan Byrne. 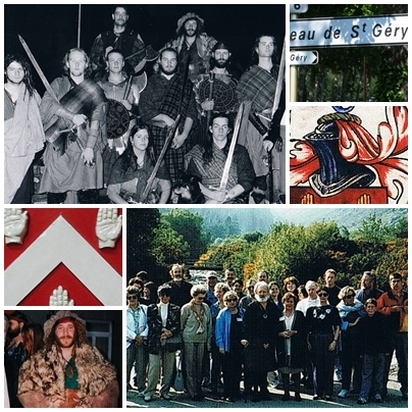 The organisation would be described as a convivial clan association. It does not make any pretensions to 'real' or 'bloodline' or 'Tanistry' chiefships. 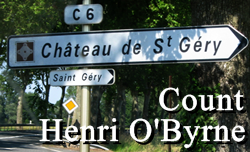 Over the past 20 years since it was founded Byrne clan members from around the world have dedicated their time and interest to the research of the history, genealogy and more importantly bringing Byrnes and O'Byrnes from all over the world together. They have shared with their distant cousins as far away as the remote Falkland Islands in meetings at the many Clan rallies held in Leinster over the years. 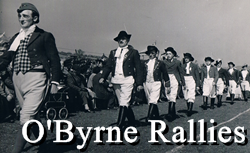 Clan O'Byrne embraces the name Byrne and all its various off shoots such as Burns, O'Broin ( the original Gaelic name ) and many others such as the USA Clan Tanaiste ( vice Chairman ) Bill Byrnes of Chicago who represented the Clan Byrne USA, a seperate and independant organisation. Now with easier access to genealogical information there has been an upsurge of interest in the clans history and the big question, WHERE DO I FIT IN ? 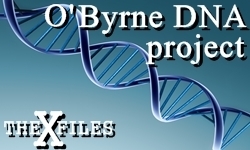 These past years have resulted in various very successful collaborations with Clan O'Byrne researchers resulting in access to a major DNA base, historical documents and pedigrees , previously very difficult to find, Elizebethan Fiants listing thousands of the rebel Byrnes, records of the Coats of Byrne arms and a major genealogical book published currently in two volumes recording the family histories of hundreds of Byrnes.Two other major books relating to the turbulent history of the Byrnes have also been published. From a scarce historical data base of twenty years ago this is a dramatic change in circumstances and I am very proud to have been able to contribute to it . The research is very much ongoing and it looks like further major contributions will appear in the near future. Remember genealogy is a pleasant journey, it is not an overnight dash ! Certavi et Vici We strive and we win.